Voluntary maximum disclosure is the internationally accepted principle of achieving good governance. The Indian Supreme Court of justice took a significant step forward to implement the obligation of disclosure under section 4(1)b) of Right to Information Act, 2005. Its note said: “Resolution is passed to ensure transparency and yet maintain confidentiality in the Collegium system,” it read: “The decisions henceforth taken by the Collegium indicating the reasons shall be put on the website of the Supreme Court, when the recommendation(s) is/are sent to the Government of India, with regard to the cases relating to initial elevation to the High Court Bench, confirmation as permanent judge(s) of the High Court, elevation to the post of Chief Justice of High Court, transfer of High Court Chief Justices / Judges and elevation to the Supreme Court, because on each occasion the material which is considered by the Collegium is different.” The suo motu disclosure will be available under the new tab “Collegium Resolutions” on their official website, explaining the reasons for recommending some and rejecting others. It started with resolutions passed on October 3 on the elevation of district judges to Madras and Kerala High Courts. Now the onus is on the Executive to reciprocate with similar disclosures about their decisions. Ever since it came in 1993, the Collegium, of nation’s five senior-most judges, including the Chief Justice of India was subjected to criticism for being opaque. In fact, the Government contemplated the National Judicial Appointments Commission Act (NJAC) creating space for itself in the process of appointments showing this as the major lacuna. When Justice Jayant Patel was shifted out of Karnataka High Court, he resigned in protest. He did not become Chief Justice of High Court as expected. As six of 31 in SC and 413 judge positions in 24 High Courts are vacant, the justice gets delayed. Four High Courts have half or less than half their sanctioned strength. Six High Courts are functioning under acting CJs, namely Andhra Pradesh and Telangana, Calcutta, Delhi, Himachal Pradesh, Jharkhand and Manipur. It is reported that Government suggested 61 names and sent to apex court before the change in the office of CJI. In some cases, even after clearance by Collegium, the Government takes time, some times more than six months even! However the Government appointed 126 judges in 2016 that is a history in itself. These vacancies cause 25 per cent no justice. Fund is no issue because strength is already sanctioned. General public, real stakeholders in justice do not know why vacancies are perpetuated, what is criteria, how names evolve into ‘candidates’ and why some are so unlucky. Justice Chelameswar has dissented, debated, disgusted and boycotted, to blow the whistle for transparency. He challenged why transfers are so opaque, why minutes are not recorded. As he exposed the internal working of Collegium the people realized the need to support his demand. He decided not to attend Collegium finding it a futile exercise. He had asked the Government to revise the Memorandum of Practice (MoP) for appointment of judges. While the apex court has objected to national security clause that gives space to the government to shoot down the Collegium's recommendations, the Government questioned lack of transparency. Every gram panchayat records its minutes and Collegium does not! When Chelameswar wrote this, people could not believe it. In a media interview Justice Chelameswar said: “There is nothing personal in my stand. Let judicial appointments be made on some objective criteria. The judiciary should evolve a procedure for bringing in transparency in appointments after having rejected both the government’s arguments and rescinded a parliamentary law on NJAC….This is a principled stand. Not a fight for any personal gain. In less than two years I am going to retire. I will not look up to anyone for any post-retirement jobs. I will not be seen around working for this Commission or that. I have no personal agenda nor is there anything personal in my objection to the way the Collegium is functioning,” Justice Chelameswar asked why not we record reasons for transfers and elevations of judges. He supported the NJCA in his minority dissent for the sake of transparency. Its a historic dissent. Though Supreme Court struck down NJAC, the four majority judges, on the Bench recognized the need to improve the Collegium system. In response to SC’s invitation for public opinion, bench was flooded with 15000 letters in a couple of months voting for changes. As the demand for transparency going on, the Chief Justice Dipak Misra acted against this heavy opaqueness, silent and sudden. This will bring in good governance in administration of justice and insulates the judiciary, strengthens its independence. 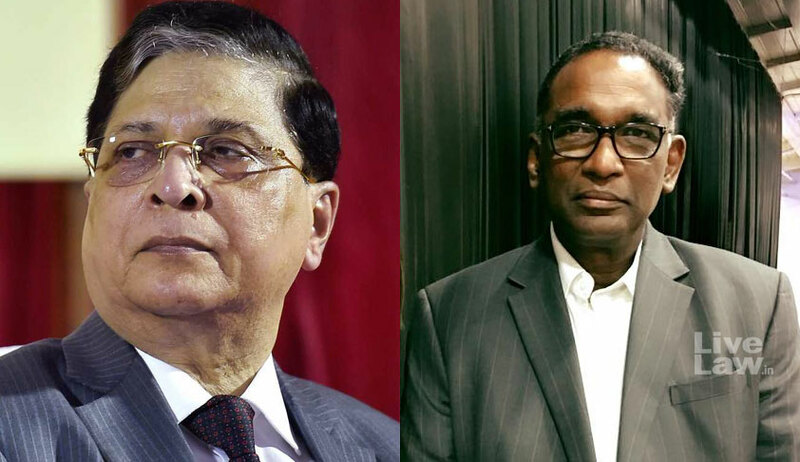 The Chief Justice Dipak Misra and Justice Chelameswar scripted history. Since inception the apex court is the guardian of fundamental rights of the people and to extend this protection, it guided the executive to give good governance. Our Supreme Court gave voters the right to information in 2002. In 1961 (in SP Gupta) itself it rejected claim of privilege and ordered the correspondence regarding appointment and transfers of judges not to be secret. A corruption and nepotism free administration is not possible without transparency. Every public institution shall be accountable to the people, the real masters of democracy. In the field of political executive candidatures are discussed and decisions are also in open; while administrative officers are selected by UPSC. The deliberations in legislature, making law or creating a pandemonium, are open. The adjudication happens openly. And now the iron curtains around judicial appointments are being lifted. When appointments, postings and transfer of judges could be accessed with reasons and resolutions, how that information about clerks and other public servants considered as private and denied? That decision in Canara Bank v CS Syam on 31st August 2017, has to be reviewed in view of the SC decision in 1961 in SP Gupta and the latest path breaking resolution to make Collegium’s proceedings open. Professor Madabhushi Sridhar is a Central Information Commissioner.